Your own private balcony, impressive views and an abundance of space are just a few of the guaranteed luxuries when you stay in a Superior Pool View Room! Plus, all the special Sofitel touches are sure to make your stay even more memorable! 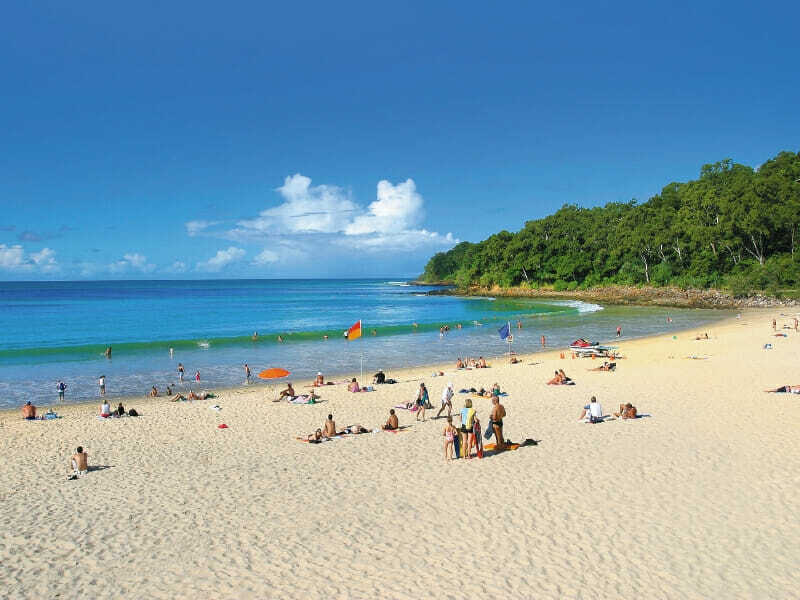 Fly directly to the Sunshine Coast and start your holiday straight away! 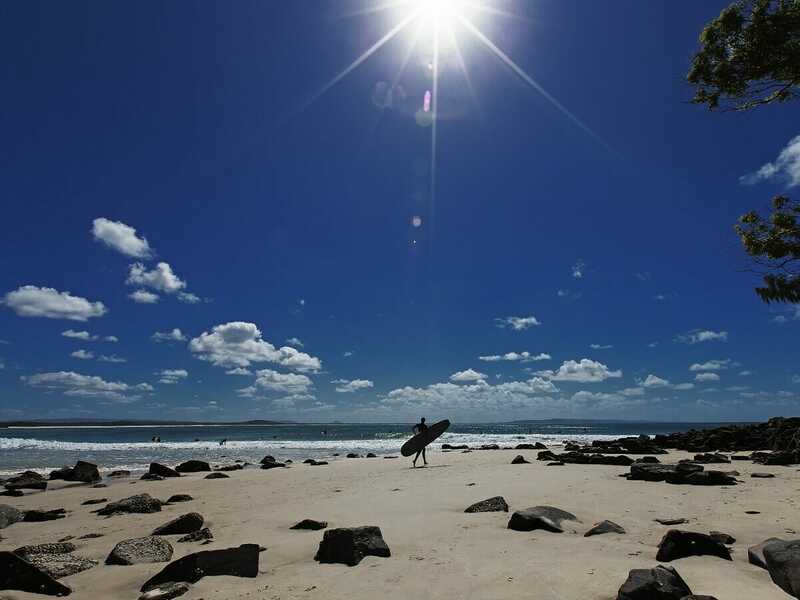 Landing on the Sunshine Coast leaves more time to enjoy your holiday. So, take full advantage of your checked luggage, pack your boogie board and hit the beach as soon as you arrive! We don’t leave anything to chance at My QLD Holiday. 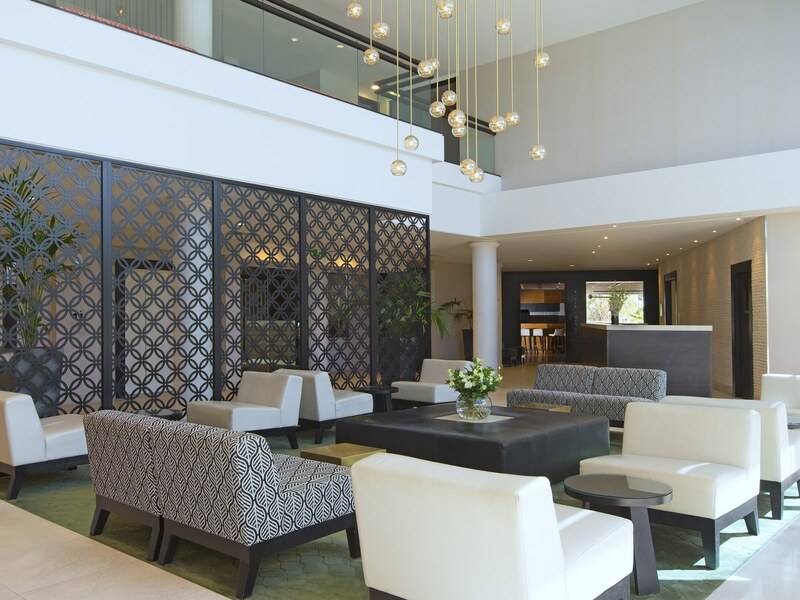 You can disembark your flight at the Sunshine Coast knowing that someone is waiting to take your bags and transport you straight to your accommodation – and vice-versa when it’s time to go home! 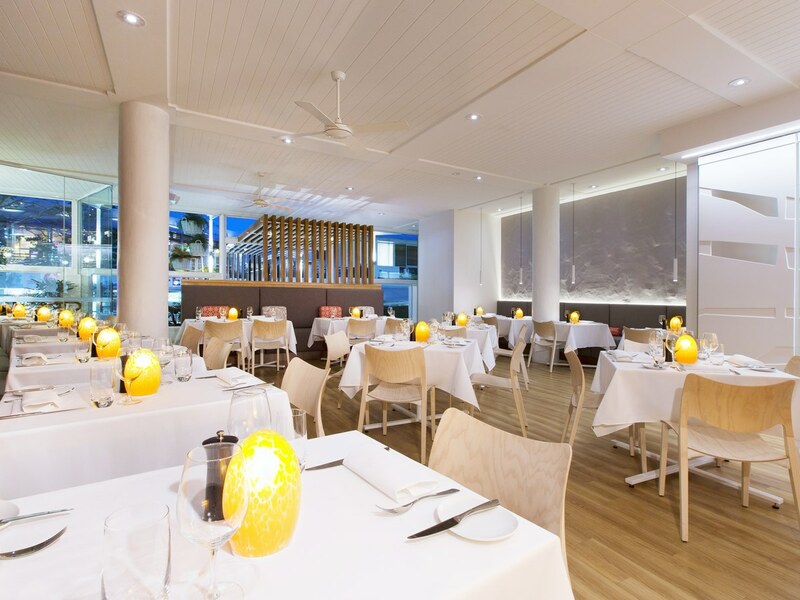 Enjoy a buffet breakfast daily while staying at the Sofitel Noosa Beach House! Start your day with a delicious meal consisting of locally sourced foods that will provide you with the fuel you need for a day full of activities and relaxing! Take the whole family! Up to 2 children (0-11 years) can stay free of charge when sharing the same room as their parents and using existing bedding! Check in and be treated to a complimentary bottle of wine when you arrive! Head up to your room, pop the cork and enjoy a refreshing glass or two on your private balcony! We all get a little thirsty after a flight, right? 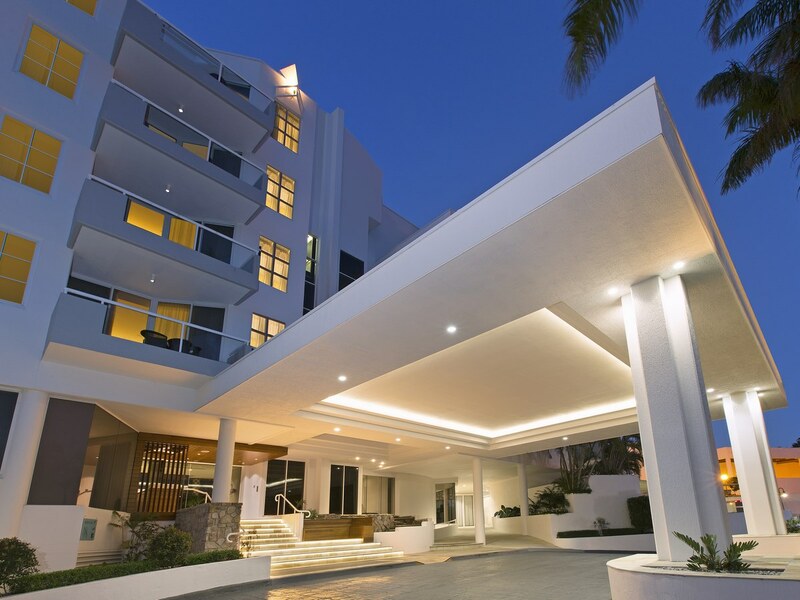 When you arrive at Sofitel Noosa Pacific Resort on the Sunshine Coast there will be a refreshing cold cocktail waiting for you! Treat yourself to a relaxing 60-minute (or longer) spa treatment at Aqua Day Spa and receive a $30 discount on it! This saving is so good, you deserve to treat yourself to another! The 55sq. metre interior of the Superior River View Room is a host to an array of luxury features and amenities. Get a good night rest of the comfortable bed and enjoy the convenience of choosing your own bedding configuration (king size or two doubles). Stay cool in the air conditioning as you relax on the sofa or side chair to watch the 42inch LCD TV. 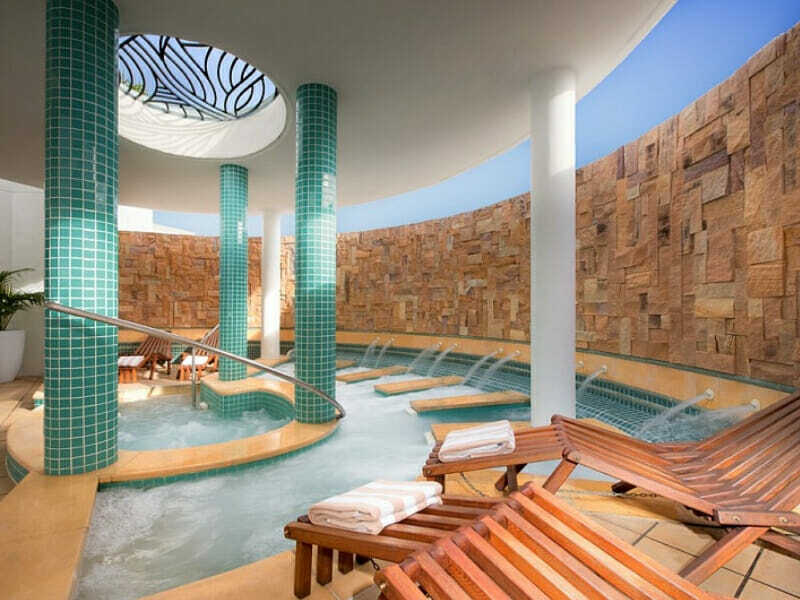 Wash your troubles away in the glass-enclosed shower or separate spa bathtub. 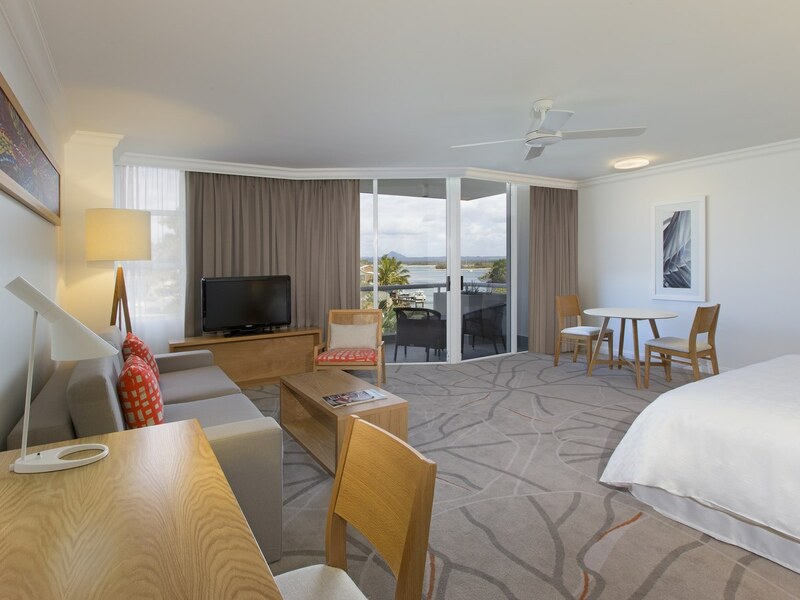 Observe the gorgeous Noosa River views from the private balcony, stay connected with Wi-Fi and much more! 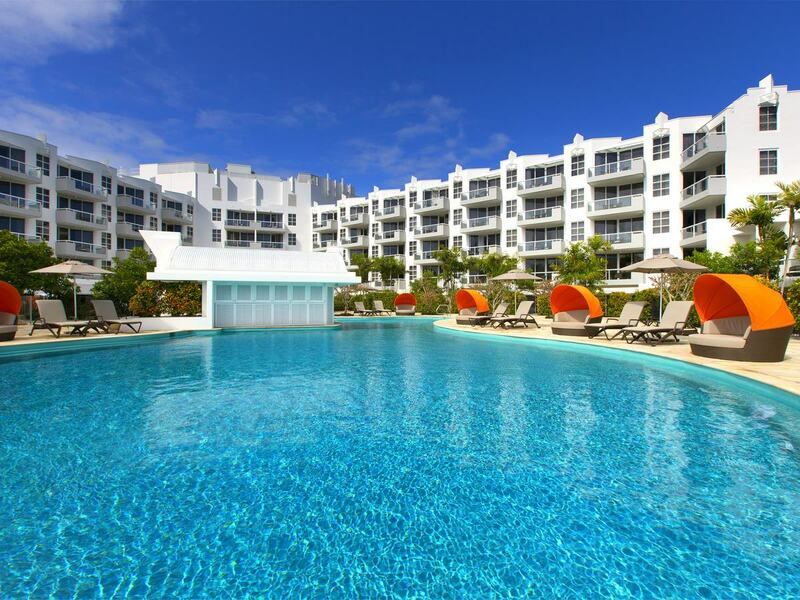 Relax on the private balcony and take in the views of the resorts impressive swimming pool! Step inside the 55sq. metre space and be greeted by a range of Sofitel luxuries. Find local artworks decorated the walls within the Superior Pool View Room. There is a sofa lounge and an upholstered side chair for you to sit on while watching the 42-inch LCD TV. Also featuring a kitchenette and dining table, the main area of the room is dominated by the comfortable king size (or two doubles if you prefer) bed. A glass-enclosed shower and separate spa bath make up the spacious bathroom. 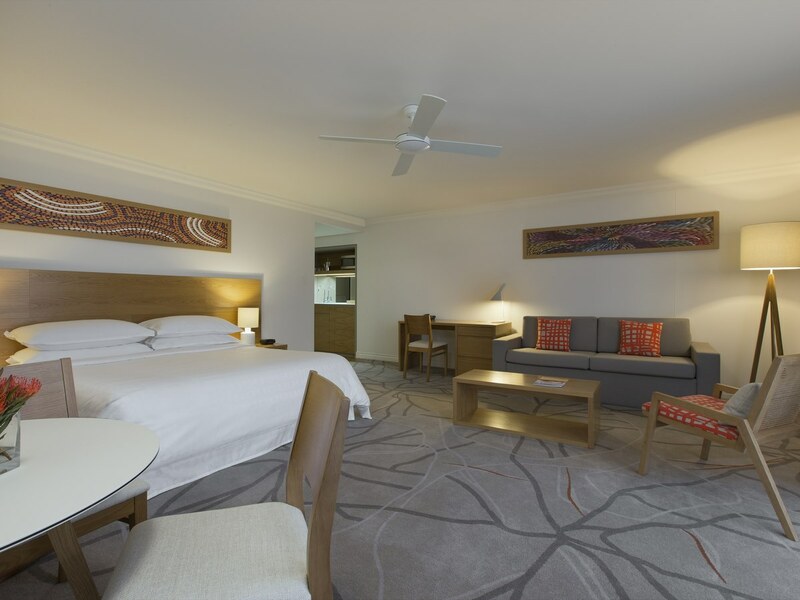 Find your perfect stay at Sofitel Noosa Pacific Resort! 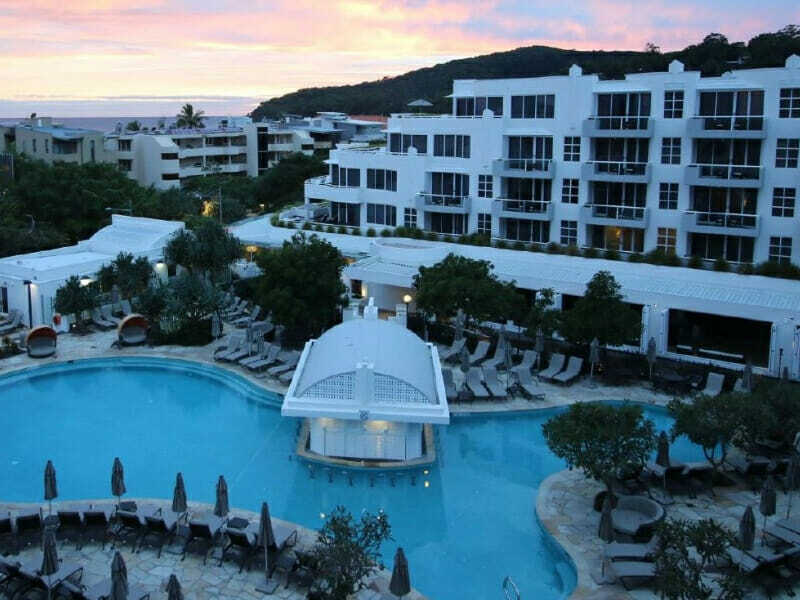 This resort boasts exceptional service matched with the 5-star luxuries you would expect from a Sofitel Resort. 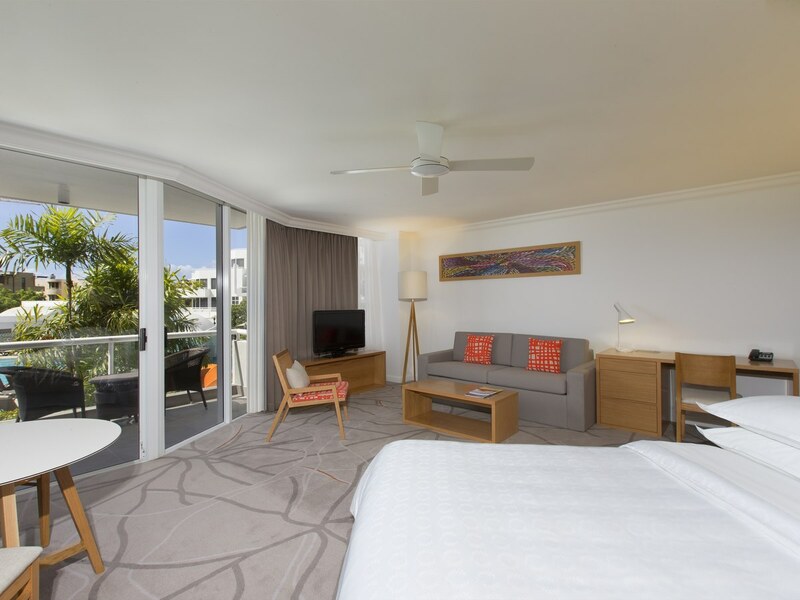 From the delicacies at Noosa Beach House and the picturesque lagoon style pool, to the idyllic central location and array of leisure activities available, it’s no wonder Sofitel Noosa Pacific Resort is considered a premier address for luxury Noosa accommodation! 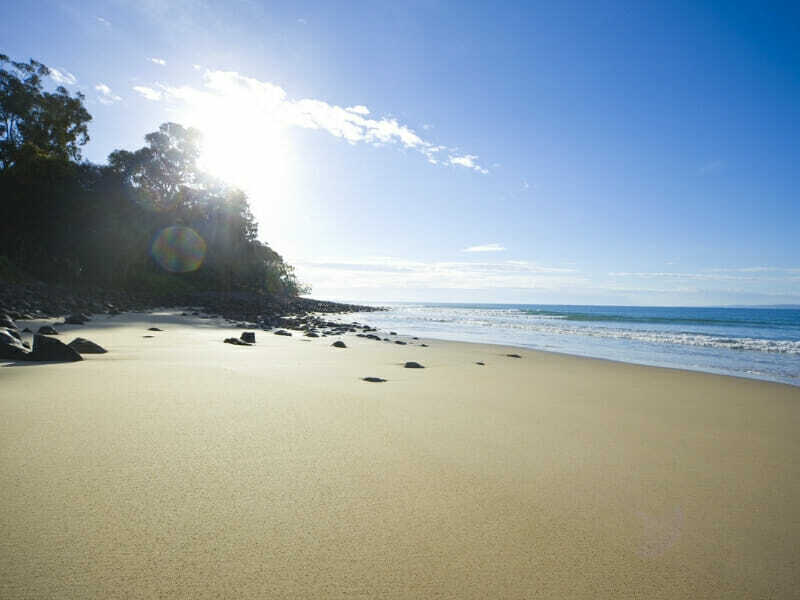 Read more about Sofitel Noosa Pacific Resort here! #Kids Stay FREE: Children Policy: (i) A maximum of 2 child/children aged up to 11 years old may share a room with 1 or 2 adults free of charge (room only), utilising existing room bedding. Extra rollaway or sofa bed will be chargeable. Baby Cot is $25.00 per room per night, payable direct to resort. Interconnecting rooms must be requested to the Hotel upon reservation. Every child must be mentioned on reservation. *Wine, Dine & Spa Credit per room per booking to use at the spa, resort’s restaurants, bars, car parking and room service. This amount is to be credited to the guest’s room account on check-in which can be applied towards all food, car parking, beverage and spa teatments at the resort. WDS Credit cannot be applied towards Spa retail products or external third party service providers e.g. Tours.